I know I’m not very active as a blogger right now, and most of my posts at the moment are older writings that I’m finishing now and finally posting after a long time of waiting in the pipeline. There’ some stuff I need to finish (about Christianity and capitalism, and about racism for example) but I don’t have the time and energy at the moment, and I’m focussing on work, children, gardening lately, and most of my writing has been fiction in Dutch, so it doesn’t fit on this blog. I will still be writing blogposts here about a whole variety of subjects when I have the time and inspiration for it. (And there are some unfinished things that will be finished and posted too…) But in 2014 I will be starting a new project, which I call the ‘demodernisation’ of myself, which will most probably lead to some blogposts too. 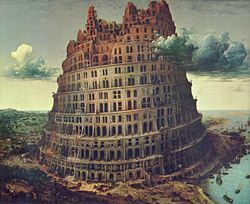 Some years ago I found the ‘emerging church discussion’ through the internet, and learned a lot from it, or learned the right words to describe how I already saw the world, for I am a native postmodern. But I must say that the whole ‘emergent’ stuff has become more and more frustrating to me. A lot of it is just American anti-reaction to a fundamentalism that I don’t know, and acts more like a photo-negative of that fundamentalism. No-one can expect me to be interested in a photo-negative of something I don’t care about. The photo and the negative will generally be equally uninteresting to me. I do think that I will also go back more to my Lewisian roots, and explore Chesterton and MacDonald more for example. My ideas on magic and the occult are part of what you can expect, but I will try do ‘deconstruct’ more things and look from other angles than both Western modernism and post-modern hyper-enlightenment thought. 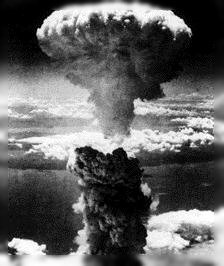 The a-bomb is more satanic & dark than most occult things.